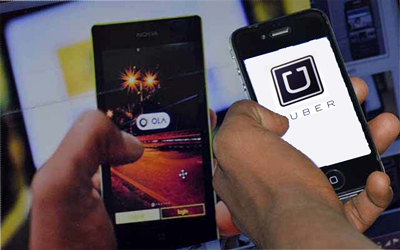 Taxi aggregators, Ola and Uber have been adopting different models in their bid to meet the demand- supply gap. As Bengaluru based Ola takes to leasing of cars, San Francisco headquartered Uber, is continuing with a peer-to-peer model to respond to the growing demand. Through its leasing programme, Ola purchases cars and leases them to drivers. This prevents drivers from jumping to Uber's network and also allows Ola to pay them fewer incentives. The company invested Rs 5,000 crore last September in the initiative, a report in Mint stated on Monday. Uber, on other hand, is focusing on launching a peer-to-peer (P2P) cab hailing system, which is operational in the US and China, where it is the company's primary channel of growth. P2P allows car owners to sign up with Uber either on a full-time or part-time basis. While Uber launched the service in Punjab last year, it is yet to release the programme across the country due to regulations that prevent personal vehicles beings used for commercial purposes. Another initiative that Uber launched late last year was Uber for Business, which allows companies to use the cab-aggregator's services for their employees. Popular in countries such as United States, UK, France and Canada, the service is currently being used by companies such as Cognizant, NDTV, Godrej Group, Tata Steel, and others, according to a report in the Economic Times on Monday. Last week, Uber partnered with Maruti Suzuki India Ltd and National Skill Development Corporation (NSDC) to launch UberShaan, where the company would provide driving lessons to unskilled manpower, help trained drivers get commercial licences and provide them vehicle financing and leasing solutions. Ola too, is not far behind in such initiatives. It recently partnered with Mahindra & Mahindra to meet its taxi supply needs and for vehicles financing solutions.